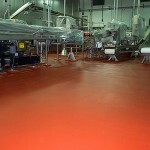 Talk to an industrial flooring expert today! 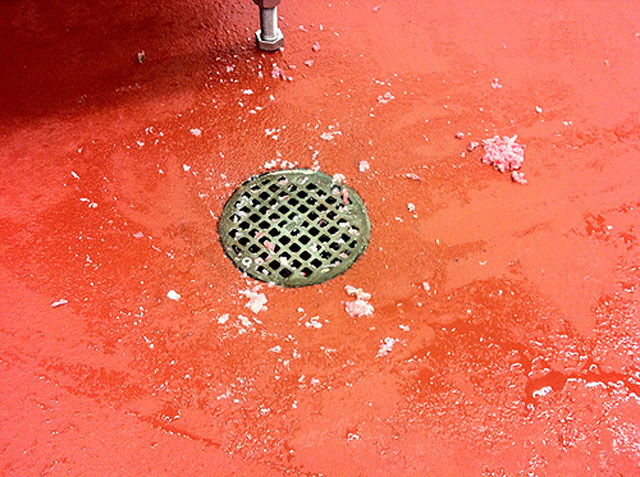 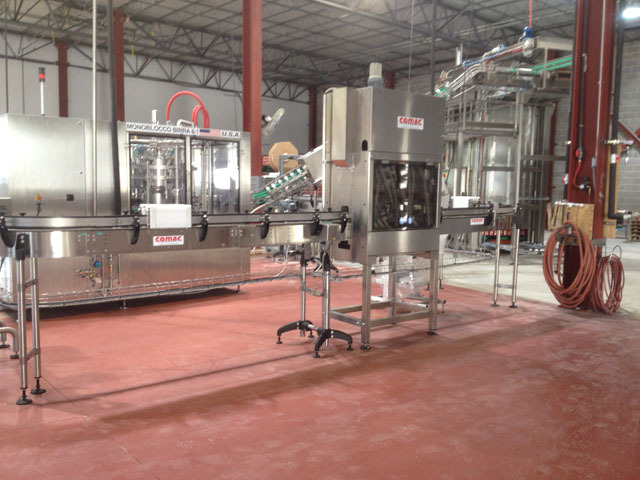 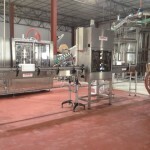 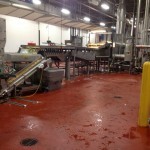 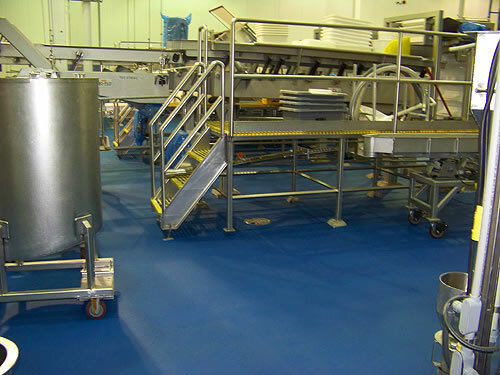 Food and beverage processing plants pose one of the harshest environments for floors. 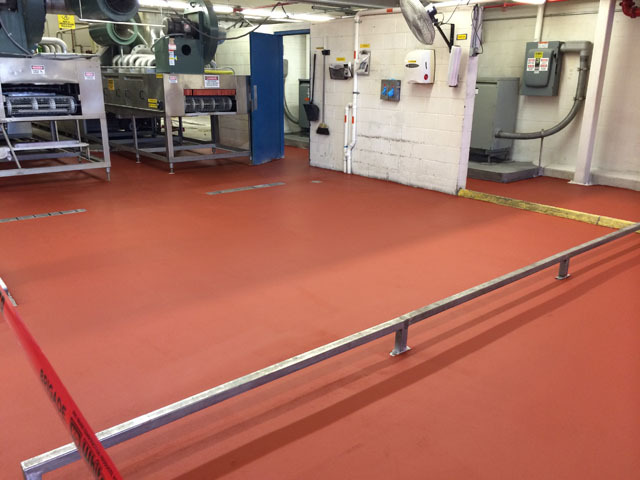 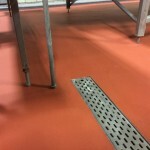 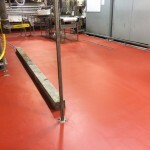 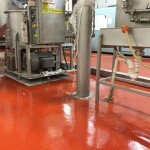 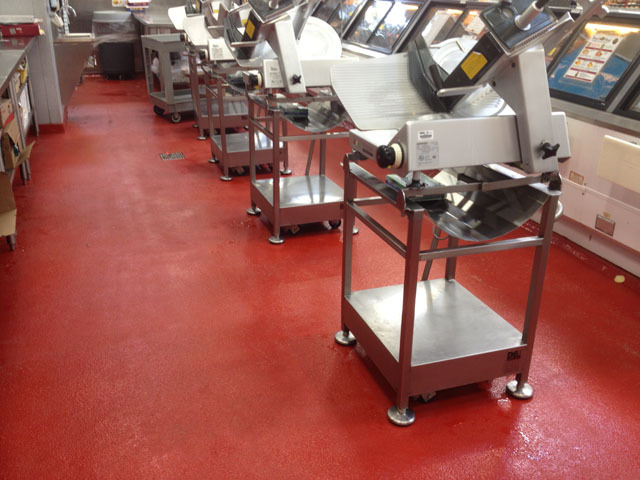 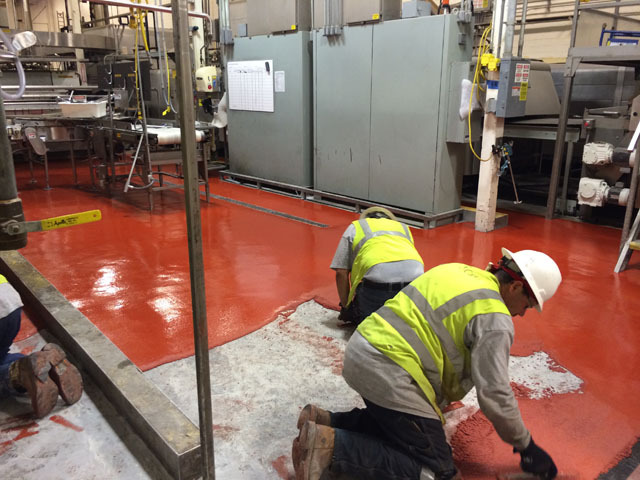 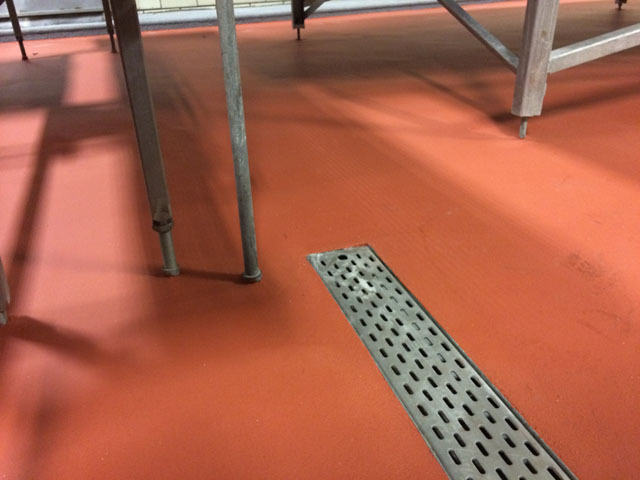 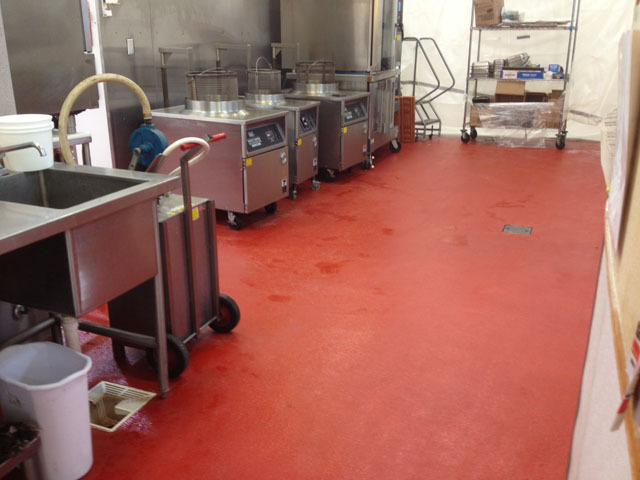 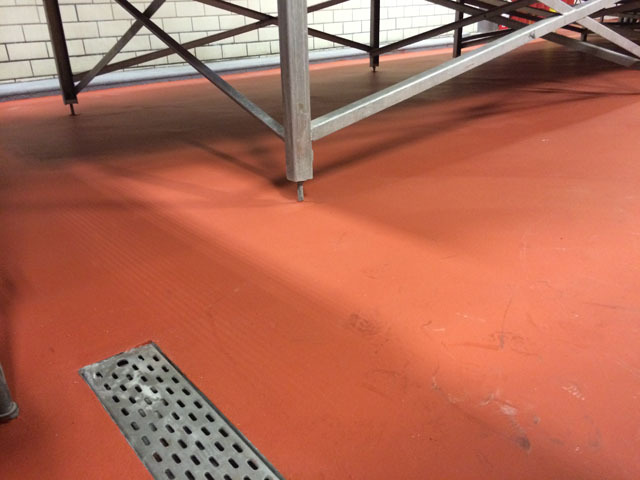 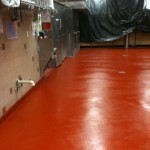 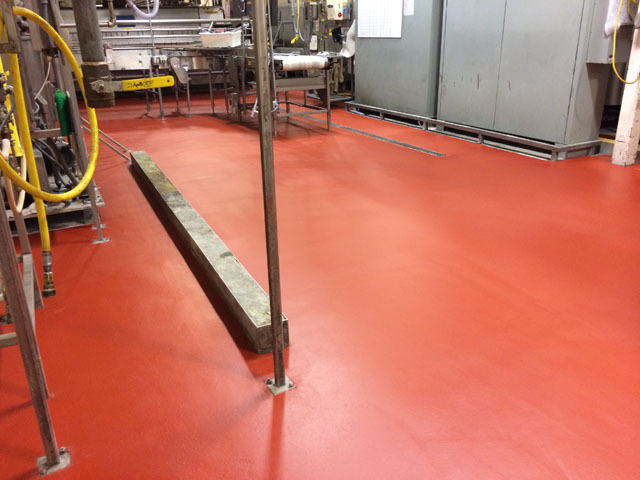 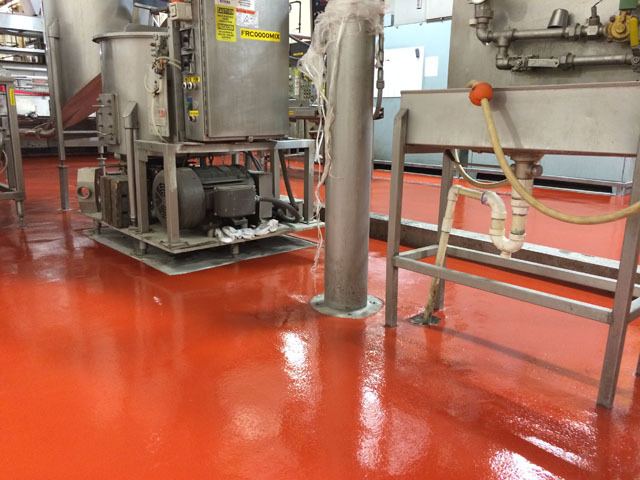 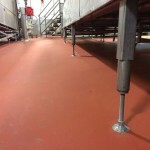 Your USDA approved food and beverage processing floors should be durable, contribute to the overall sanitation of the facility and provide good slip resistance for safety. 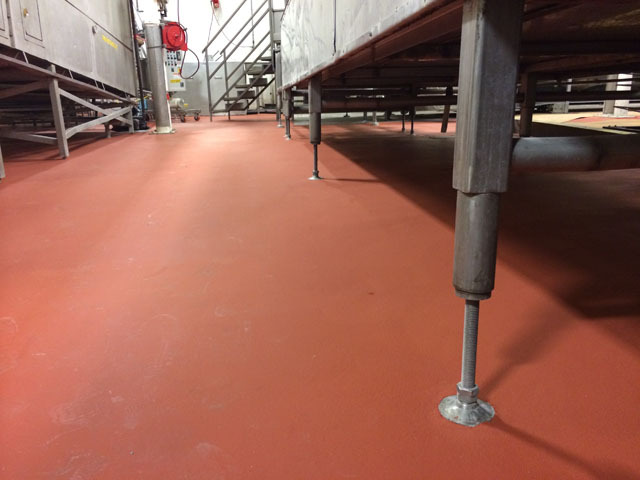 Spectrum Industrial Flooring specializes in fast, professional installations of USDA floors in time-sensitive environments such as food and beverage processing plants. 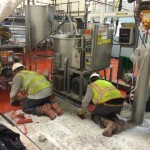 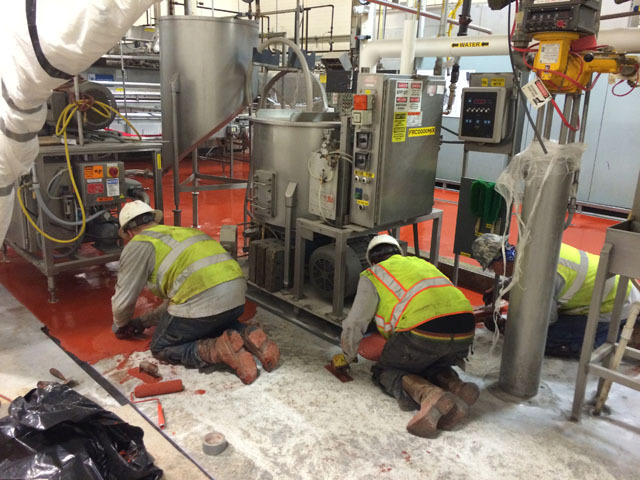 Our highly trained crews coupled with proper material selection allow us to quickly install or repair flooring in areas under fry lines, coolers, food process areas, around beverage filler lines, and other food related production environments with long term success. 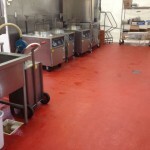 We can install USDA floors over the weekend! 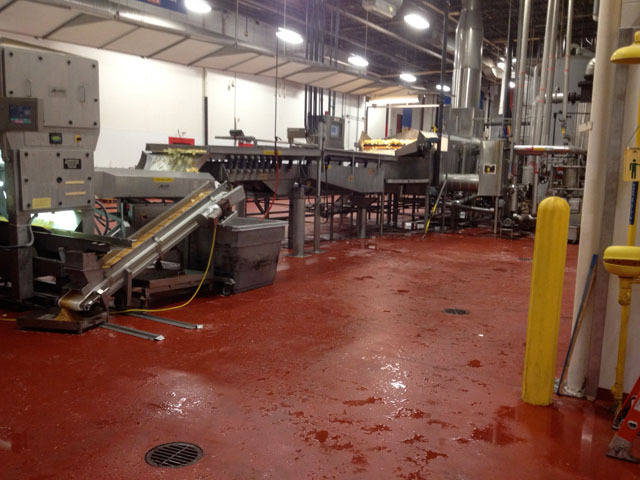 The food and beverage industry requires the ability to remove failed surfaces and rebuild the floor surfaces in a very limited time. 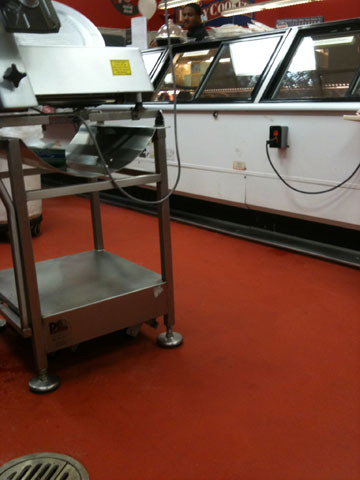 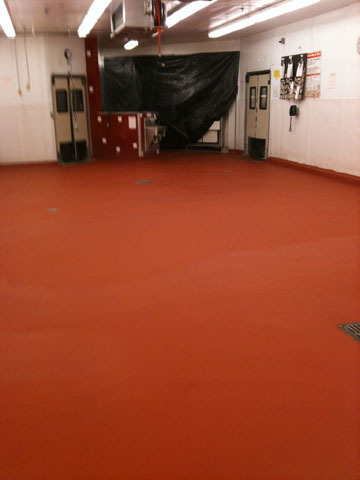 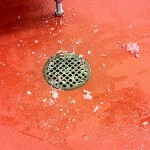 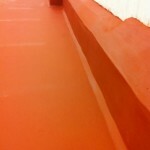 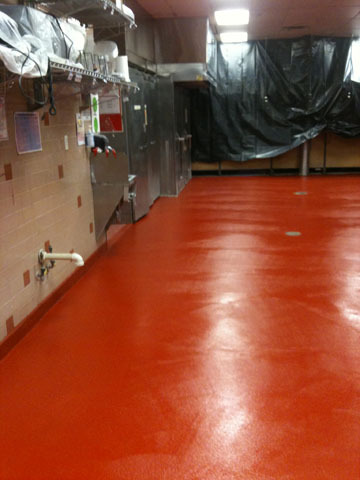 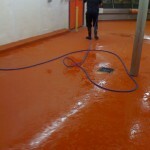 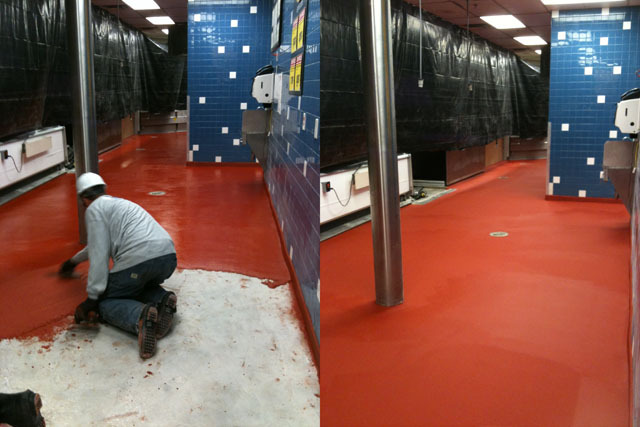 A typical project involves the total removal of an epoxy floor along with stainless drain replacements. 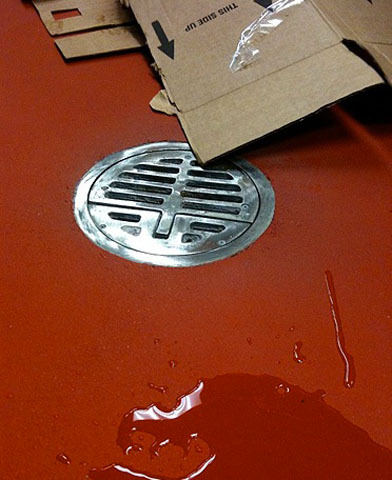 This calls for a normal start time of late Friday night with sanitation being performed. 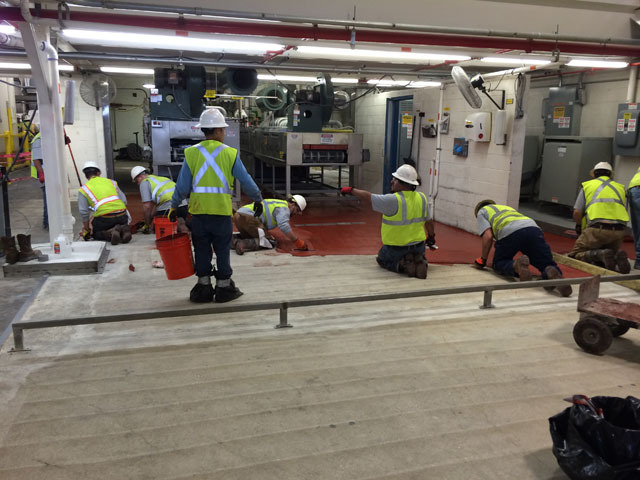 Spectrum Floors will start removing the existing failed surfaces on Saturday and installing new stainless drains. 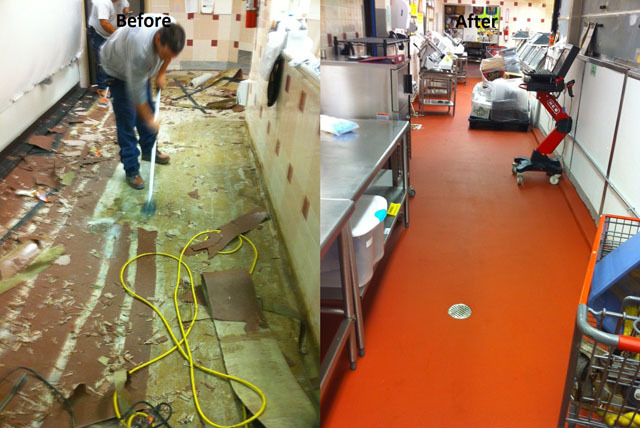 By Saturday afternoon, our expert crews will have finished removing the surface and the floor preparation will begin. 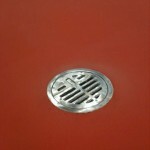 This is the single most important aspect of the project. 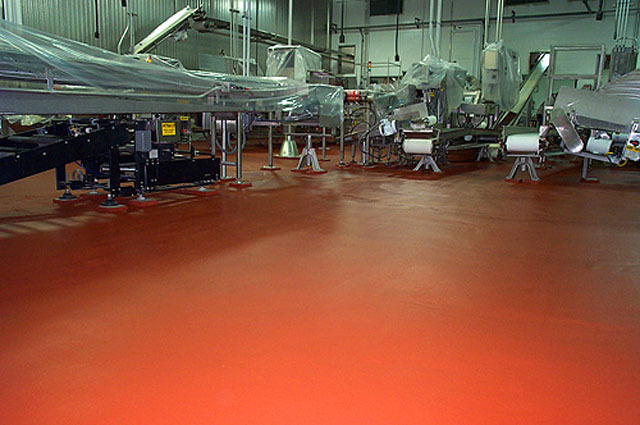 By utilizing shot blast equipment and industrial diamond grinders spectrum industrial flooring is able to create a clean, sound surface to adhere our products. 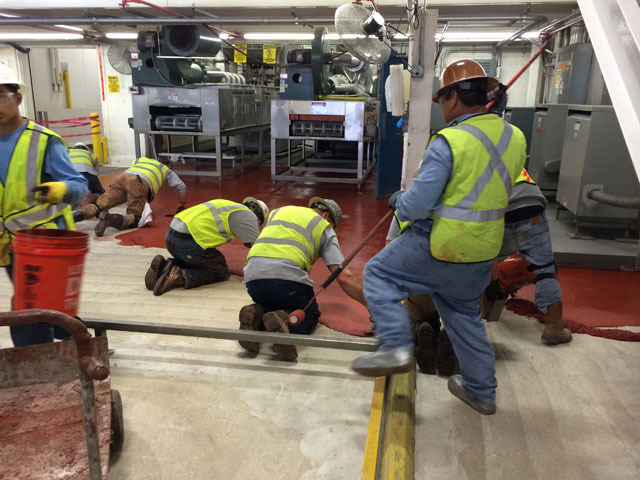 Once the preparation is completed, a visual inspection is performed. 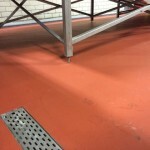 This is done in order to identify cracks or failed concrete or other possible problems. 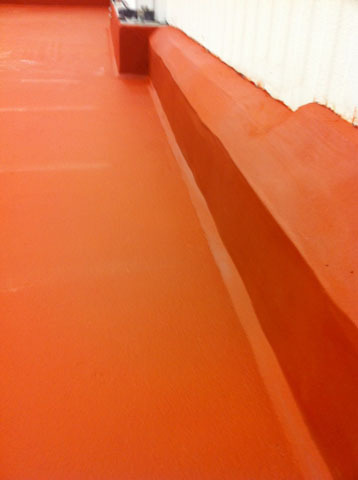 Many times, resinous crack injection and or fiberglass is installed over areas that may become cracks. 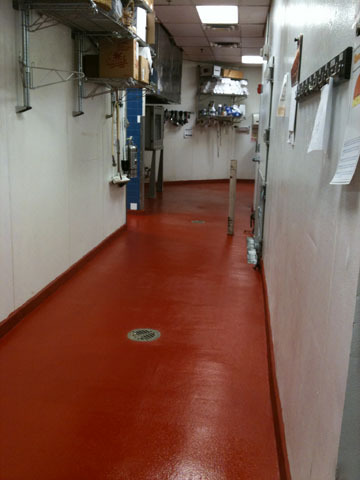 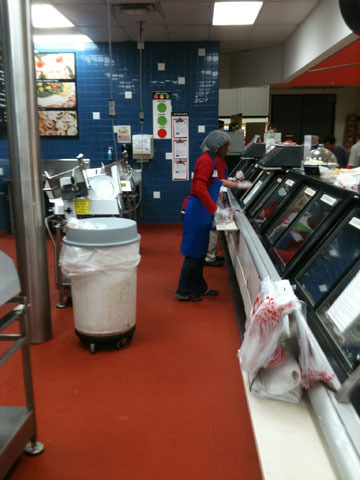 Our goal is to eliminate potential areas that may harbor bacteria. 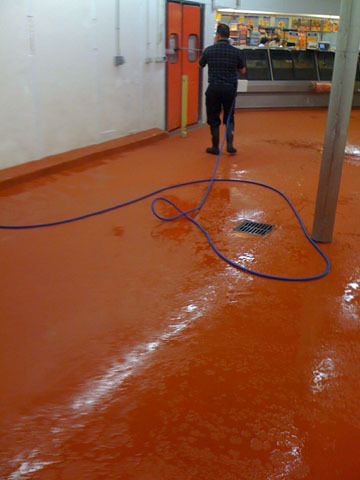 The area is allowed to continue drying Saturday evening. 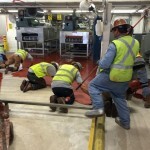 Early Sunday morning out crew begins installing the urethane curb material. 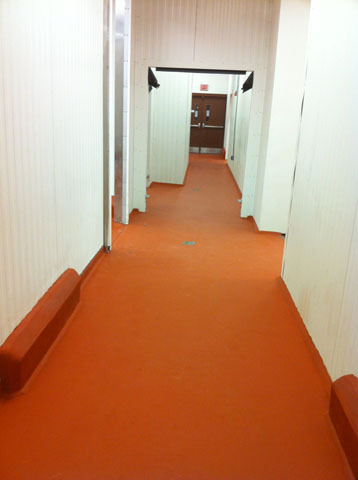 The installation of the urethane flooring material is also installed with almost no odor on Sunday morning. 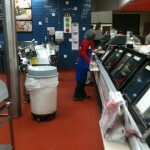 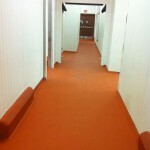 At 75 F the floor surface may be allowed to have foot traffic in 12 hours and sanitation can begin. 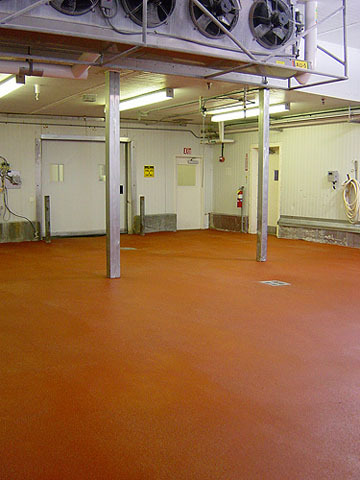 The new floor will be easy to sanitize, have good slip resistance, be durable and provide an attractive surface. 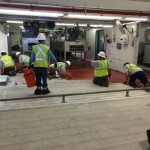 Sanitation cost will go down, slip and falls will be reduced, employee satisfaction will improve and third party auditors will supply high scores. 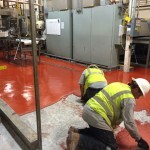 We are here to answer your questions, provide a quote, or schedule a visit to your site. 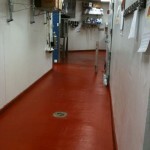 Call us or contact us today! 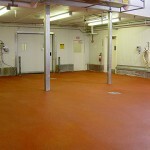 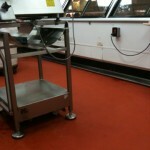 Spectrum Industrial Flooring is a full industrial floor contractor for industrial flooring systems. 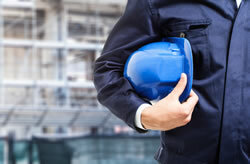 We handle all details from consultation to satisfaction with quality workmanship, precise installation techniques and unwavering attention to detail. 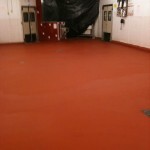 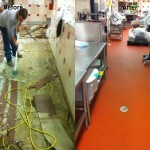 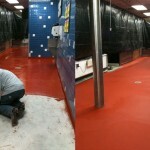 We also specialize in industrial floor restoration. 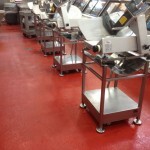 Our client base includes companies of all sizes from major corporate giants to emerging industrial independents. 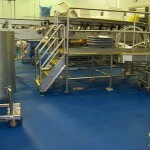 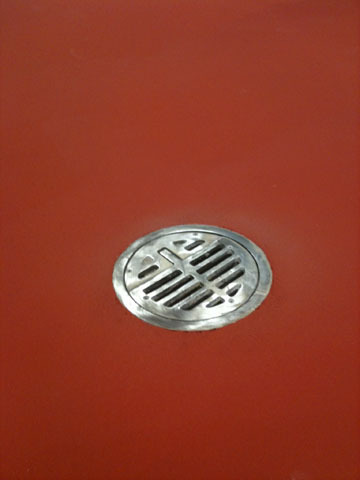 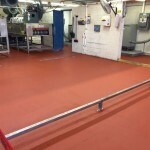 Find out what industrial flooring solution is right for you!